Video Games are interesting because of the way they allow a multitude of experiences to tell a story. Whether you’re mowing down grunts in Gears of War or sailing the sands in Journey, games manage to continually come up with new and interesting ways to convey powerful messages. Gone Home, a game from Fullbright Studios, was one such gem – and it’s given a lot of foundation to the studio’s next title, Tacoma. Sitting down to go hands-on with the game for the first time last week, Fullbright co-founder Karla Zimonja gave me little to go on. “It’s a lot like Gone Home, “ she explained, “and that’s all we really want to tell you before you play”. 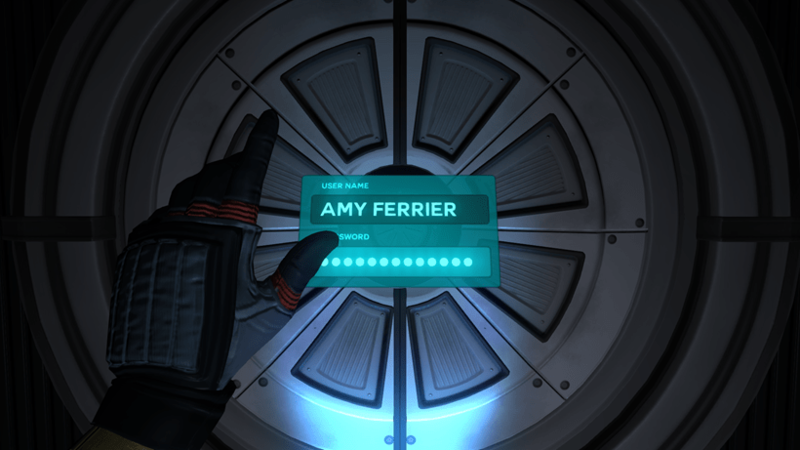 Soon after I put on the headphones and took control of Amy Ferrier, the game’s protagonist, she unlocked a door using nothing but fully understandable ASL (American Sign Language). A small but very different interaction with a staple gaming obstacle – rather than having the character push a button or use their voice. From there, Tacoma really didn’t stop surprising me. And eventually became my most treasured experience at the entire show. Zimonja wasn’t lying when she said Tacoma is very similar to Gone Home in terms of gameplay. As you control Amy, you’re stopped from sprinting, jumping and almost every other interaction that may have become muscle memory to your fingers over the years. Exploring the empty, desolate spacestation that the game is named after is a deliberately slow journey (and one that Zimonja and her team are still tweaking)– just begging you to take in the wondrous writing that is literally floating all around you. 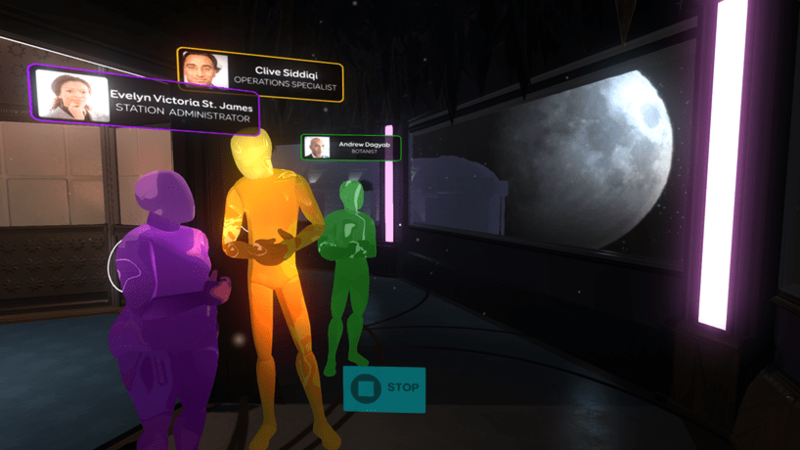 Interactive holograms unlock casual conversations between some of the stations inhabitants, who have all mysterious disappeared shortly before Amy’s arrival. This single thread is one that you begin pulling on, leading you around the eerie station room by room. In one I activated a simulation which depicted empty, hollow holograms of some station citizens observing a celestial event, while another closer to the end of the demo foreshadowed a possibly reason for their hurried disappearance. These small interactions are the core of what Tacoma is about, pushing story to the forefront in the same way as Gone Home. Some small spacial puzzles are littered throughout, allowing you to make use of the weightlessness of space around you. But these obstacles never feel overly stressful, and it’s unsurprising too. Tacoma isn’t about its puzzles – the reverse of what games like Portal try to achieve with their delicate balances. It makes for a fairly stress-free exploration experience, allowing you to soak up the futuristic chic decor of the wealthy space installation. After the airlock first opens up into the Tacoma mezzanine, there’s immediately something wrong about it. 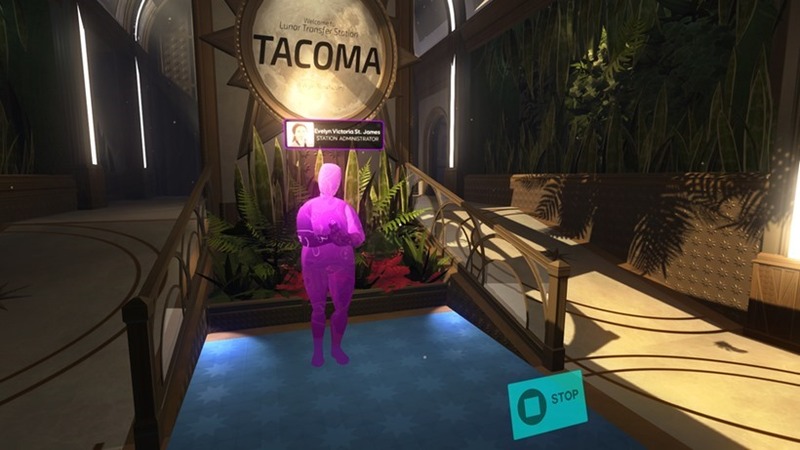 Unlike the domestically familiar setting of Gone Home, Tacoma channels near-future designs with a healthy dash of colour and vibrancy. 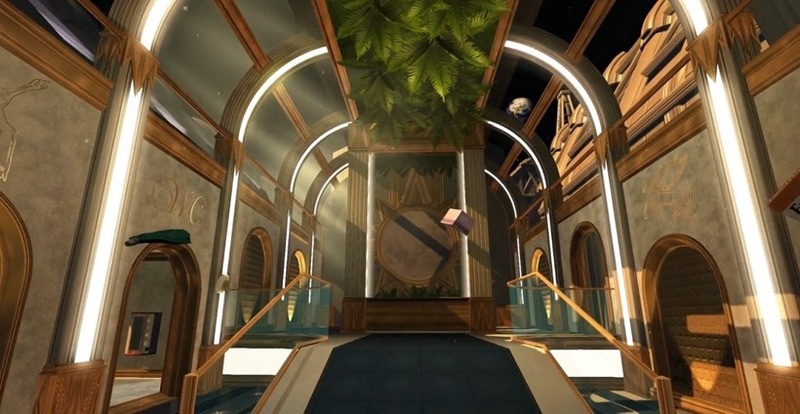 In a lot of ways, it reminds me of Bioshock’s Rapture before the fall of Andrew Ryan – a coincidental comparison given Fullbright’s founders work on BioShock 2’s Minerva’s Den DLC. It’s a setting that lends a lot to the seemingly solitary tale Tacoma is trying to tell. Ultimately Amy is searching for the lost inhabitants of the station, but most of my demo was spent listening to Amy’s own comments on surrounding events – complete with the echoes of empty passages and airless walkways. That silence is undercut by the most intriguing part of the demo – the introduction of ODIN. In similar fashion to systems like SHODAN from System Shock, ODIN’s calm demeanour and monotone answers immediately made me feel uneasy of the station’s controlling AI. As Amy questions him as to where the crew of the station is, only to be shut out by security protocols, my suspicions increased. Something sinister has clearly happened here, and there’s no doubt in my mind that ODIN is central to all of it. But it’s a sci-fi mystery that I only really got to scratch the surface of, with ODINs tantalising introduction signalling the end of my short time with Tacoma. The story alone in that condensed session has me invested heavily into the wellbeing of the station’s crew, as well as filled with fear for the safety of Amy herself. It would be silly to assume that Tacoma’s darkest secrets lie so openly on the surface. And at the very least, it’s a game you need to be playing a lot of attention to now. Tacoma is scheduled to launch on Xbox One and PC next year.